Know the power of Remarketing with Us! Businesses heavily depend on marketing their brands the right way for generating good ROI. For this purpose marketers need to be up to date with the latest trends and strategies. With that note in mind Grape5 has adapted one of the latest marketing tools for their clients – Remarketing, with google. Remarketing is one of the most innovative new strategies that allows businesses to improve their chances of reaching out to their target audience. Remarketing is a Google feature that enables businesses to attract customers who have previously visited their site and exited without buying any of their services. These are the potential customers who know what they are looking for. And most of these online customers compare services from relevant businesses before landing on an eventual choice. Therefore, by remarketing themselves, businesses can ensure their presence in the customers’ list of contenders for purchasing the relevant services. How it works? Customers visit your site and exit without buying any services. When they visit sites from other relevant businesses we make sure that your ad appears on all the relevant sites. The team at Grape5 creates ads that contain a simple marketing message, which may be an attractive offer or just containing relevant information to what the customers had viewed in your site. This encourages the potential customers to revisit your business and eventually buy the services offered. When customers search for a service online, that is the period of time when they are most likely to buy. That is the time for businesses to really sell themselves to their potential customers. Through Grape5’s remarketing service, businesses can keep themselves in the customers view throughout the time they spend online looking for relevant services. 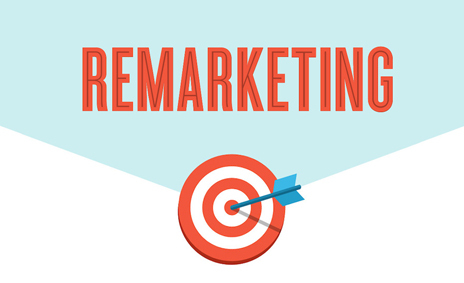 Even after customers have purchased services from your business, remarketing helps businesses to generate loyalty among these customers by throwing attractive ads at them while they are online. At Grape5, our team ensures that your business remains a front running contender to the target audience. Through remarketing with Google, we make sure that the relevant traffic is driven to your business from customers who are most likely to buy your services. Your online presence for these target customers is enhanced. Therefore increasing your business and improving the profits.